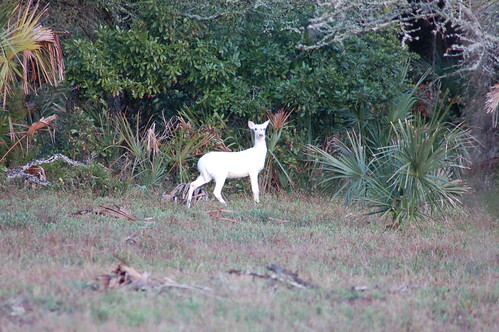 Barrier Islands of Georgia -Albino White Tail Deer? 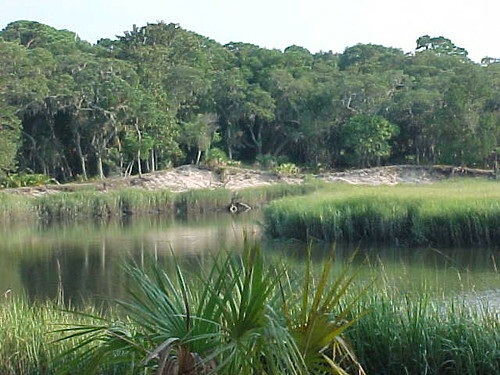 (Above) The bayside entrance to Little St. Simmons Barrier Island. 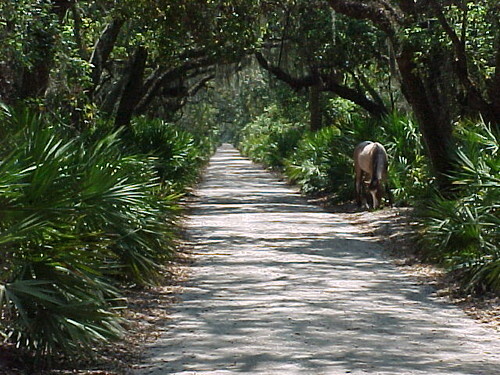 An Interior path within Cumberland’s Maritime Forest (below) . Note the wild horse to the right.